Today I added one headstone picture to the page of St. Mary’s Anglican Church Cemetery, Shiers Road, Harrigan Cove, Halifax County, NS. 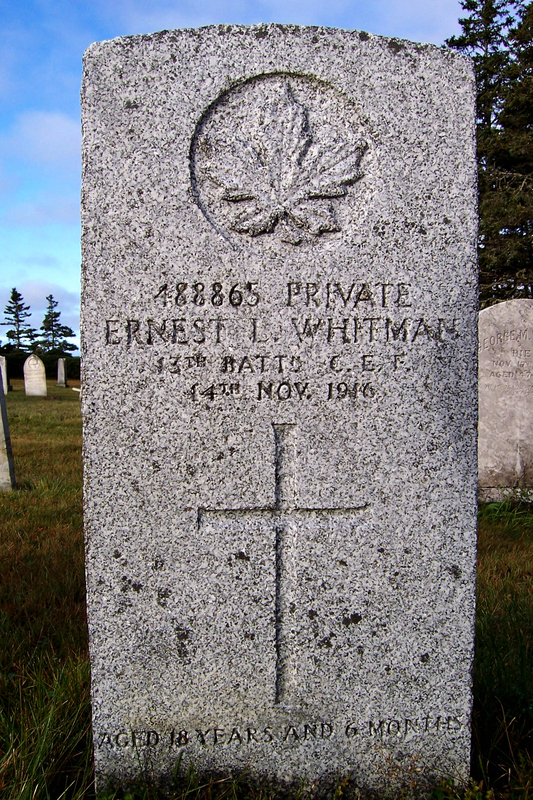 25th Battn C. E. F.
According to the 1901 Canada Census for Smith Cove, Halifax County, NS, Stephen was born July 12, 1890. He was ten years old at the time of enumeration. He was living with his parents, Mary E. and Thomas McDonald, and seven siblings—Gulliver (age 21), Georgina (age 18), Thomas (age 16), Simon (age 12), John (age 8), Edith (age 5) and Hattie (age 1). His father and his older brother, Gulliver, were fishermen. Stephen enlisted with the Canadian Expeditionary Force on August 11, 1915 at Sussex, Kings County, New Brunswick. At the time, he was 25 years old and working as a fireman. He measured 5 feet, 9 inches and weighed 137 pounds. He had blue eyes and light brown hair. His attestation paper stated he was born July 12, 1898, so a two-year difference from the 1901 Census. 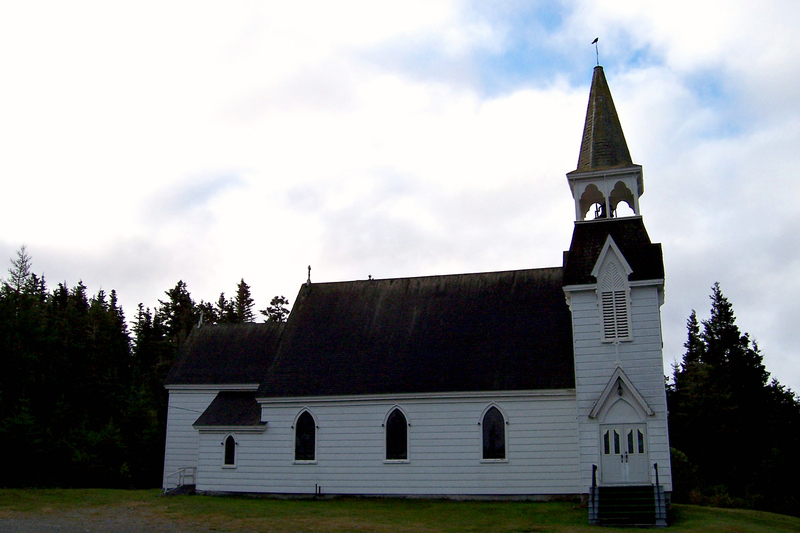 His next-of-kin was recorded as Elizabeth McDonald of Harrigan Cove. This could be his mother, and her full name being Mary Elizabeth. His medical exam took place at Halifax, NS, and he was found fit to serve. He was not married and did not belong to an Active Militia. He was assigned the regimental number of 469124 and served with the 64th Overseas Battalion, and, according to his headstone, the 25th Battalion as well. 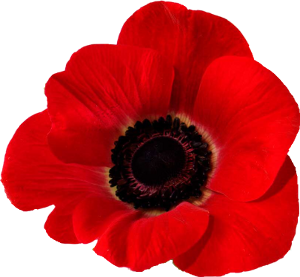 Stephen’s name was found on the CEF Nominal Roll where it indicated he embarked for overseas with the 64th Battalion from Halifax, NS, aboard S. S. Adriatic on March 31, 1916. 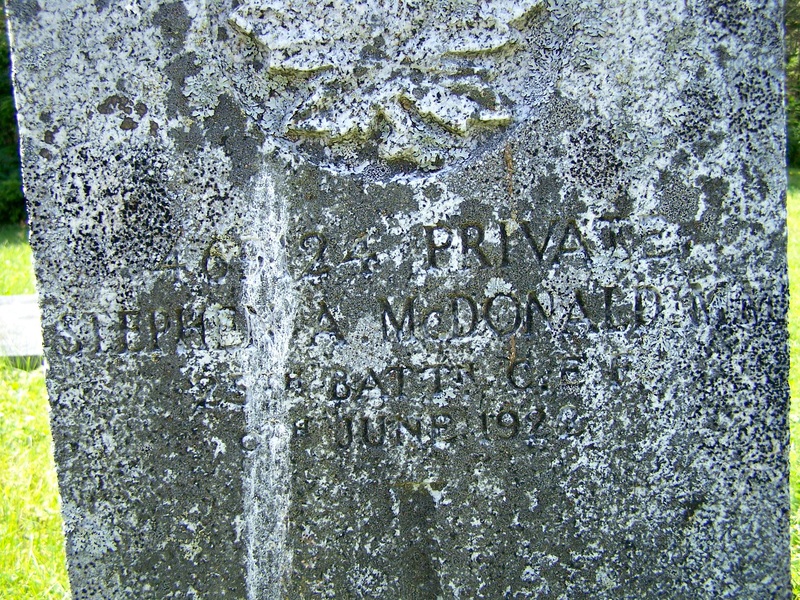 From what I have gathered, the MM noted after his name on his headstone indicates he received a Military Medal. I could not find a death record for Stephen at Nova Scotia Genealogy. He either did not die in the province or the file was mis-indexed. Or there was no record. Atkins, Charles Albert: Born January 8, 1869 at Lower Quoddy, Halifax County, NS, the son of Margaret Shiers and Joseph Atkins. His parents married in 1854 at Halifax, NS.